In a relatively short time Wang Jie has made quite an impression on the classical music establishment. From Another Sky represents a melding of East and West that characterizes much of Wang’s work. 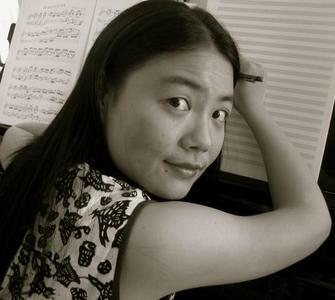 Born and raised in Shanghai she moved to the US when she was 20 to attend the Manhattan School of Music on scholarship. Studying composition, Wang was soon writing operas, song cycles, a piano trio, as well as orchestral music. Honors soon followed from ASCAP, the BMI Foundation, Opera America, and the American Academy of Arts and Letters. A composer profile of Wang by the ACO may be found here, while an excerpt of her Oboe Concerto can be found below, starting at the 1:52 mark.